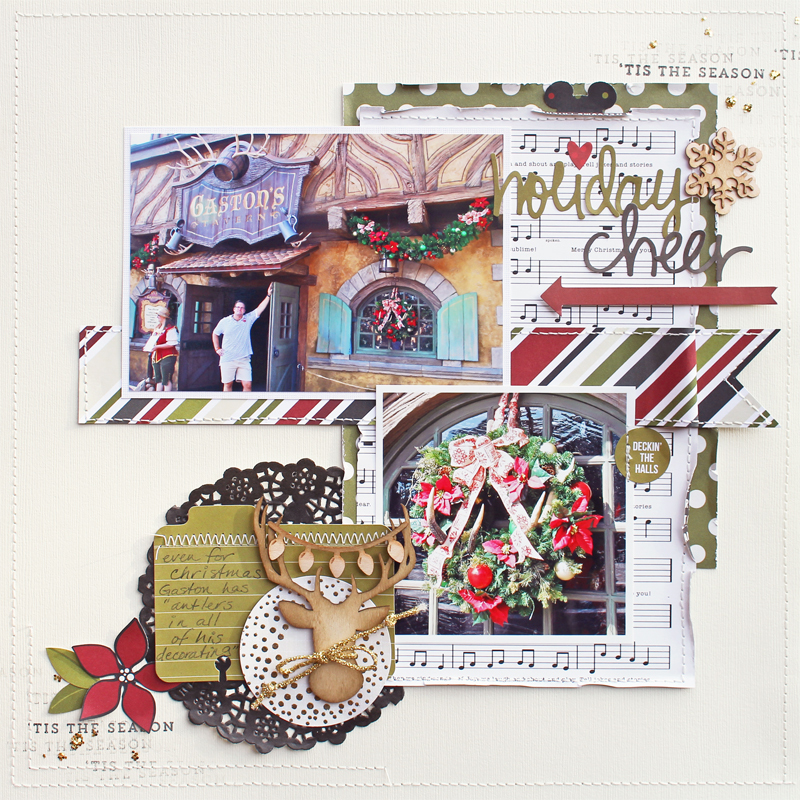 The Most Wonder Time of the Year kit, add on kit, and Stamp Set from Scraptastic Club is FULL of Holiday Cheer! It's so much fun to play with and I wish I had more time right now to scrap because it is calling my name! 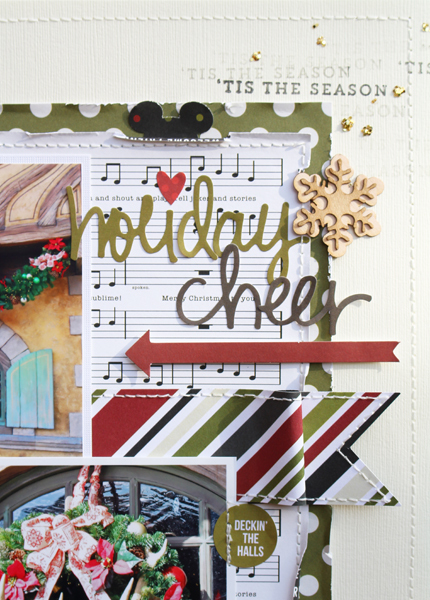 Here is one layout that I did using some of the super cute holiday wood veneers. I layered a couple of pieces and I just love the way it turned out. I also really love the look of the black doily in this kit. We were at Gaston's Tavern at Disney World and of course Gaston (from Beauty and the Beast) says that he has "antlers in all of his decorating" and I just thought it was so cool that he even has antlers in all of his holiday decorating! It was so beautiful there for the holiday season and you will be seeing an annoying amount of photos of the decor on my layouts. Just look at that deer and the lights! It's a Scraptastic exclusive and it's totally one of my favorite elements. 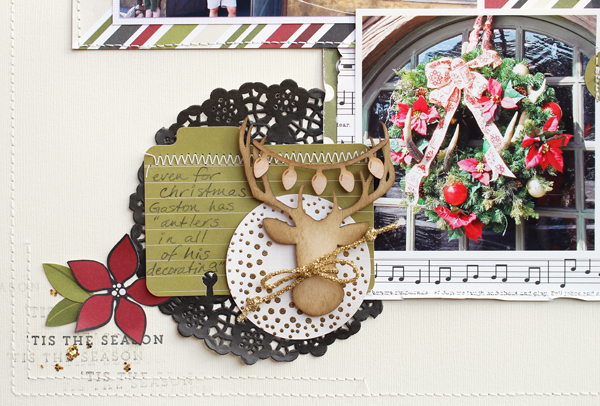 Also if you look at the circle die cut under the deer, I stamped a dotty circle stamp from the Heartbeats Stamp Set using gold tinsel embossing powder. The Tis the Season stamp is from the Most Wonderful Time of the Year Stamp set.